I mentioned in my previous post that I was going to be sharing a few things that I really have enjoyed and are helping me move in a more virtue seeking, restful state of classically educating. This is one of those such things. We have been working through this terrific curriculum that I would highly recommend from Character Concepts called Growing In Wisdom, Identifying Offenses and Learning to Choose God's Way. This curriculum is written by homeschooling parents just like you and me! The full curriculum can take you from the beginning of character development at age 4, and it goes all the way through to high school. There are nine different workbook levels, geared towards reaching the heart and mind of your child and coming alongside parents to help build the foundation for Godly character development. 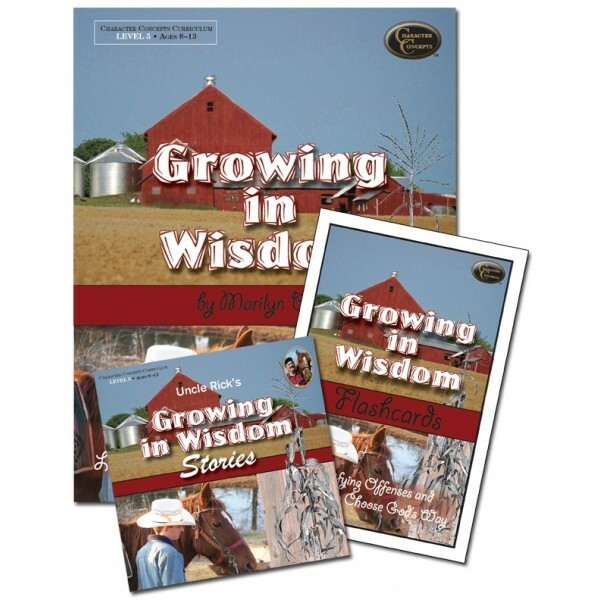 I received the Level 5 curriculum, which is intended for 8-11 year old children and it included a student study workbook, Growing in Wisdom flashcards, and a Growing in Wisdom CD. 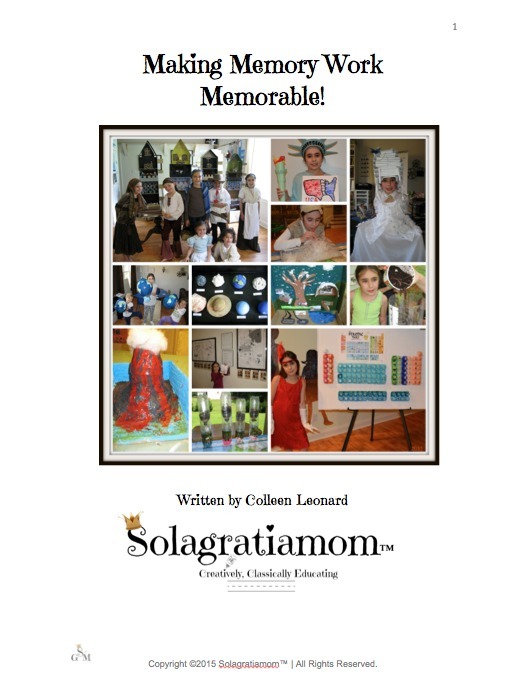 This is an easy curriculum to use and doesn't require a complicated set of instructions or props to be very effective. The workbook directs your child to begin seeking answers to vices and contrasting virtues in the Bible. It's a very thorough study of each vice and it's contrasting virtue, as some topics had upwards of 50+ verses and question prompts! They didn't miss a verse, and neither will your child, as they dig out the precious nuggets of God's Word. Instead of just having them copy the Scriptures, which has value as well, it has them read and think through them thoroughly. I really liked one of the sentences in their purpose statement under their Instructions For Use section "…the purpose of Character Concepts Curriculum - to train young people to trade in their natural thoughts for God's thoughts on the matter." -don't we all need to do that? Growing in Wisdom has a total of 32 different vices and virtues that are represented in this study. Everything from the more familiar like anger, stealing, lying, gossip and bad words to lesser thought of vices like, fearfulness, mischievousness, flattery etc. They do a very thorough job of covering all the vices and virtues, and they do it very well. Your child is given a vice, the synonyms from Scripture for that vice, and then they are off to look up Scriptures and write down answers to the questions. 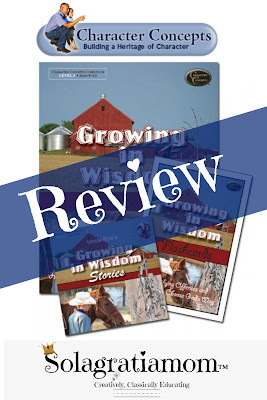 Then they have to figure out what the verse really means as the workbook does a great job of asking the right questions to draw out those thoughts and answers from your child. It also gives great springboards for parents to begin to have some dialectic discussion about the topics they are working on. We had some very good conversations while doing this study and some heart to heart moments. The verses used on the cards, are in King James, which I like for it's poetic prose, but it can be a little difficult to understand and may be more difficult to memorize for some kids . You would just want to replace them with your own version if that was the case for your child. The CD's my daughter didn't love, she thought they were a little monotone. I liked it just fine though and I think it depends on your child. However, even if you never used the CD's it wouldn't matter, this study is fantastic as a stand alone workbook. I would highly recommend you check out their webpage, as they have many more materials that are worth the look - so pop over there and take a look! So my biggest warning, is for you as parents -because you will be found out and convicted in this study! I identified my own vices and areas in need of work still...humbling. This study further convicted me to remember that much more is caught then taught, when it comes to our kids. We have to truly be seeking to develop our own Godly character and virtue formation even as adults, if we seek to help them develop theirs. I was very thankful for these convictions as they came to my attention, it just drives me to seek more earnestly, to walk daily with God and depend on Him. No amount of Bible verses can bring about what isn't submitted to God to achieve, and that includes character. So I exhort you to stay in prayer as you walk out this path of homeschool parent!